It’s an old adage: “Don’t Quit.” Easier said than done! We have several older swimmers who fit that same notion, led, of course, by Willard Lamb and Dave Radcliff. They still get on the blocks and swim everything from 50 yards to 1650 yards in pool meets, and beyond that distance in the ePostals and open water National Championships. He will enter the water for the 4000-meter swim and keep going. We swimmers, of course, do the same, and in open water swimming events this summer, we will be asked to do it again and again. 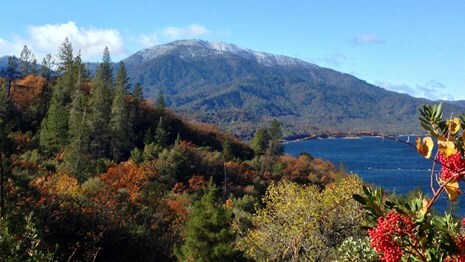 I was at Whiskeytown a few years ago, and after we finished the two-mile, where you disappear around a few islands during the swim, four of us from Oregon were discussing our swims, refueling and hydrating, when the call was made for the one-mile race in ten minutes. We looked at each other, thinking, ‘Already?” We then did a collective shrug and went to the starting line. Holman, as a triathlete, is asked to do three events in a row, without stopping except to change gear. Open water swimmers regularly swim two long distance events per day and are usually finished by noon. Come join us at Foster Lake and swim the Two Mile Cable National championships. You can then go the One Mile cable swim less than an hour later. At Elk Lake at the end of July you can swim two events each day on Saturday and Sunday, and one on Friday afternoon if you want a “Survivors” cup. At Eel Lake August 11, swimmers will go a 3000 meter and then a 1500 meter and be done by noon. Again and again Masters swimmers will follow Holman’s attitude this summer. Go out there and do the best we can. Don’t quit.